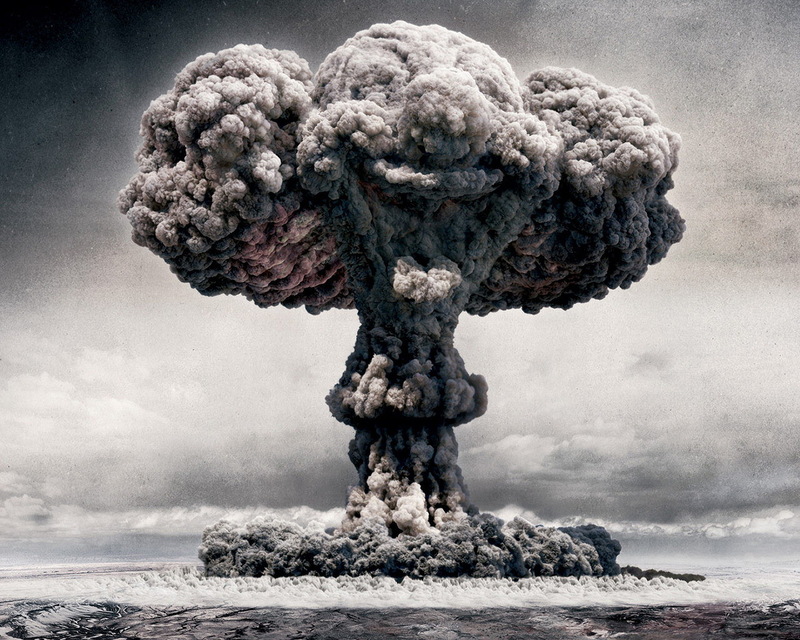 When I was young, one of my greatest fears - among many - was the thought of global thermal nuclear war. The east-west arms race had been going on since 1947, in other words, my entire life to that point, and much of the entire lifetime of my parents. The idea that guys with briefcases handcuffed to their wrists containing launch codes could unleash two nuclear arsenals that were large enough to kill every man, woman and child on earth several times over was as imprinted in our minds as the golden arches, the Pepsi Challenge, disco dancing and a long list of social markers that defined that era. If the Kennedy vs. Krushchev, Nixon vs. Brezhnev, Reagan vs. Gorbachev face-offs didn't do enough to fuel my imagination, movies like War Games (1983) and The Day After (1983) provided an added kick. In my mind, I knew exactly where I would go if we were given the "ten minutes to impact" warning. It was up at the Junior High School, a concrete bunker of sorts, tucked at the back of the gym and down a flight of cold concrete stairs. Thirty years later, I have no idea what the small room was used for, only that it was solid concrete and might offer some protection in the event of an attack. You see the role that fear played in our thinking? I lived in small town Saskatchewan, three and a half hours away from the nearest major city. That a nuclear bomb would be targeted for anywhere near us is complete lunacy, though everything I had been taught or seen, led me to believe that we were at risk. 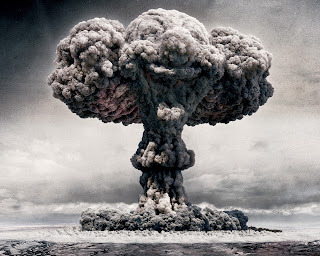 We survived those years with nary a bomb going off, though total annihilation came close a number of times, times that we knew about, other times that we did not. The tension shifted from the superpowers to the terrorists, as the bombing of the World Trade Center, U.S.S. Cole and 9-11 redefined everything we knew about geopolitical equilibrium. 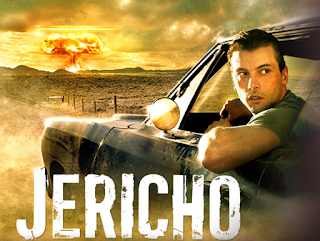 Then we started watching Jericho, the television series about a small fictional town in Kansas that survives an apparent nuclear attack that destroys a number of American cities. Hours from the nearest major centre, Jericho survives relatively unscathed, only having to deal with some early stage fallout and mid-stage aggression from a neighboring manufacturing community on the verge of starvation. It begs the question of how a community would respond to its primary supply lines being cut-off for fuel, food, and electricity. If we had to survive with the resources that we had in our backyard, could we do it? In Fort McMurray, we would have a number of advantages, including more engineers per square inch than anywhere on the planet who could jerry-rig a power grid adjustment that could keep our homes lit and our fridges functioning in perpetuity. I've heard stories that they could flip a switch and power the entire city from the power plants on site right now, though I have no proof of it. Our challenge would be on the food score. Right now, most of what we consume comes from away, though on the vegetable side of things that could change soon. With the waste to resource initiative that is underway, we're going to use our solid waste stream to create heat that will fuel a greenhouse-based agricultural industry. For the first time - outside of produce that came from our gardens - we'll have a food supply chain that begins and ends within our borders. One of the unknowns that Jericho explores is how people and communities respond when their collective lives are being threatened. How do your morals and values change when your children are starving, when your fingers are turning blue from the cold, when hope has all but faded? 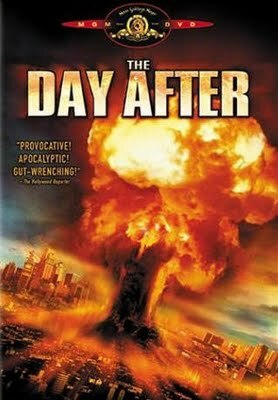 I didn't explore beyond the day of an imagined nuclear blast, huddled in the cold basement of my junior high school. I only focused on that moment of survival, of still being able to breathe beyond the shock wave and initial fallout. 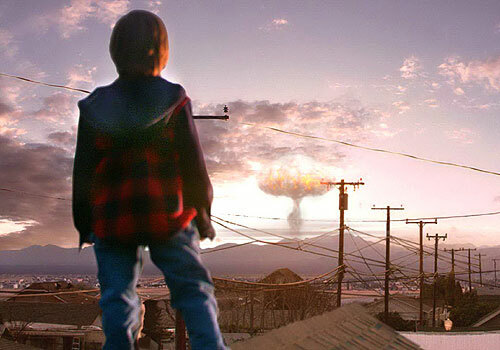 The real test of survival happens well beyond the first day or two, or even weeks after a cataclysm. It happens when the food is running out, when fresh water has become scarce and feeling warm and secure is the stuff of dreams.